People are hungry for greater spiritual freedom in their life. In our ministry at Aslan's Place we've seen this evidenced in hundreds of requests for our manual, Prayers for Generational Deliverance. What's the connection? God has used these prayers to bring remarkable freedom to people. 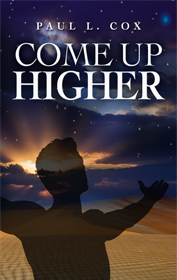 As requests have grown and more prayers have been added, God led Paul L. Cox to compile them into a new book, Come Up Higher. Written and edited by Paul along other contributing authors, this book explores the Biblical, theological, and historical settings of forty-two prayers that God has used to impact lives. 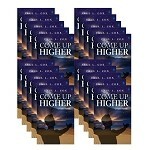 Discover more of the freedom God can bring through prayers in the pages of Come Up Higher. This is a great resource whether for personal use, or as a reference manual for prayer ministry with others. Click here to read chapter one; "Why Pray Generational Prayers"
Need more than 20 copies? You may receive a better deal on shipping of you purchase by the case. *Sacrifice the Leader will be automatically added to your order. If you add a copy of the book you will be charged. This is a limited time offer. Offer only valid while supplies last.